The first step toward returning an injured individual to the workforce is determining his or her rehabilitation potential. An extensive analysis of work history, transferable work skills and abilities, along with selected testing instruments, help our experienced staff evaluate each case on an individual basis and provide the best vocational rehabilitation option. In determining vocational alternatives, we provide statistical and geographically-specific labor market research to determine expected earnings. 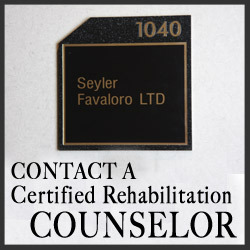 Seyler Favaloro has rehabilitation counselors specializing in labor market research and earning capacity analysis who can answer any questions about job placement and expected earnings ranges. Our job placement specialists help injured workers transition into new career paths that are both appropriate for their vocational profile and work restrictions. We can also provide training in job-seeking skills to help individuals land new employment opportunities. Thorough job analysis helps us determine which former duties injured workers can still perform upon return to work. Seyler Favaloro outlines these essential functions for specific employment positions or an entire operation. We can also assist employers in defining essential functions in accordance with the Americans with Disabilities Act. Our ADA consulting services include counsel in: job descriptions and design of job applications; transitional return to work programs putting injured employees back in the workplace with accommodations; analysis of essential functions and reasonable accommodation, as defined by the Americans with Disabilities Act; and expert testimony. A life care plan involves the systematic documentation of the needs of individuals with serious injuries or disabling conditions. The life care planners at Seyler Favaloro uses a multidisciplinary approach to building these plans, outlining the projected costs, treatment and needed services during the injured partys life span. 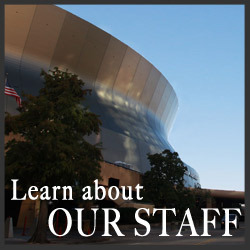 We have certified counselors who can offer expert testimony in all areas of vocational rehabilitation counseling, job placement, ADA compliance, wage loss evaluation and life care planning. 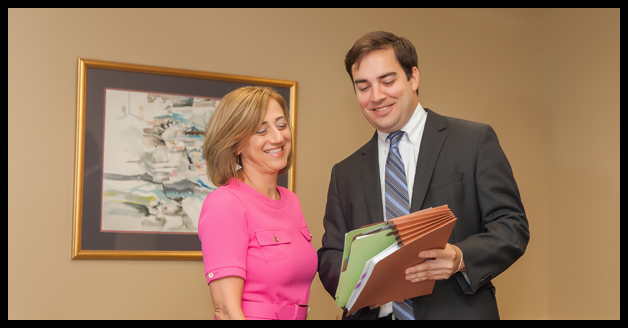 Our counselors are accepted as expert witnesses by dozens of local, state and federal jurisdictions, including the US Department of Labor and the Social Security Administration. With more than 30 years of experience on staff, we excel at helping judges, juries and mediators understand even the most complicated details of your case. Seyler Favaloro specializes in maritime cases, regularly working with longshoremen and workers in the oilfield, shipbuilding and water transportation industries. Our vocational rehabilitation professionals handle cases locally and worldwide under the Defense Base Act. This breadth of familiarity within the industry gives us an extensive knowledge of these complex fields and allows us to meet your casess specific needs. The Certified Case Managers at Seyler Favaloro are able to coordinate necessary medical services.